The local community supported this redevelopment, even though it sits outside of the Village Settlement Boundary. 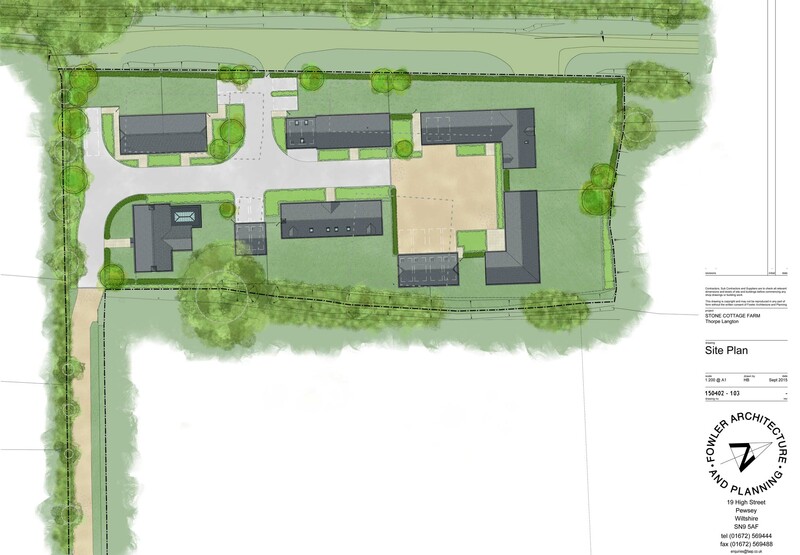 Stone Cottage Farm, in the village of Thorpe Langton in Leicestershire, will become a farmstead style group of houses. 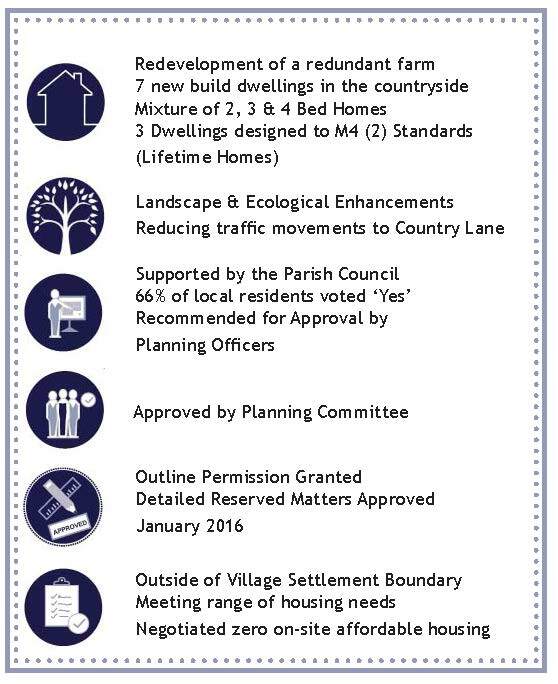 The plans are for seven new build houses, with a mix of 2, 3, and 4 bed family homes. It includes measures to protect local wildlife, as well as new trees and hedgerows. Local people will also benefit from less traffic on a nearby small road. The development meets a range of housing needs, although we were able to negotiate no affordable housing for our client.